Blade is 3/32" thick and 1 3/8" deep. Notching and filework on spine. The handle is Walnut Wood with brass pins. 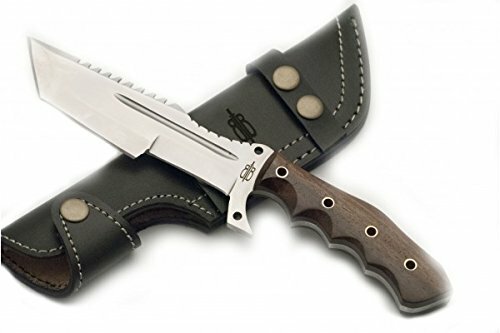 Includes genuine leather sheath with belt loop for horizontal carry. If you have any questions about this product by Buck n Bear, contact us by completing and submitting the form below. If you are looking for a specif part number, please include it with your message.